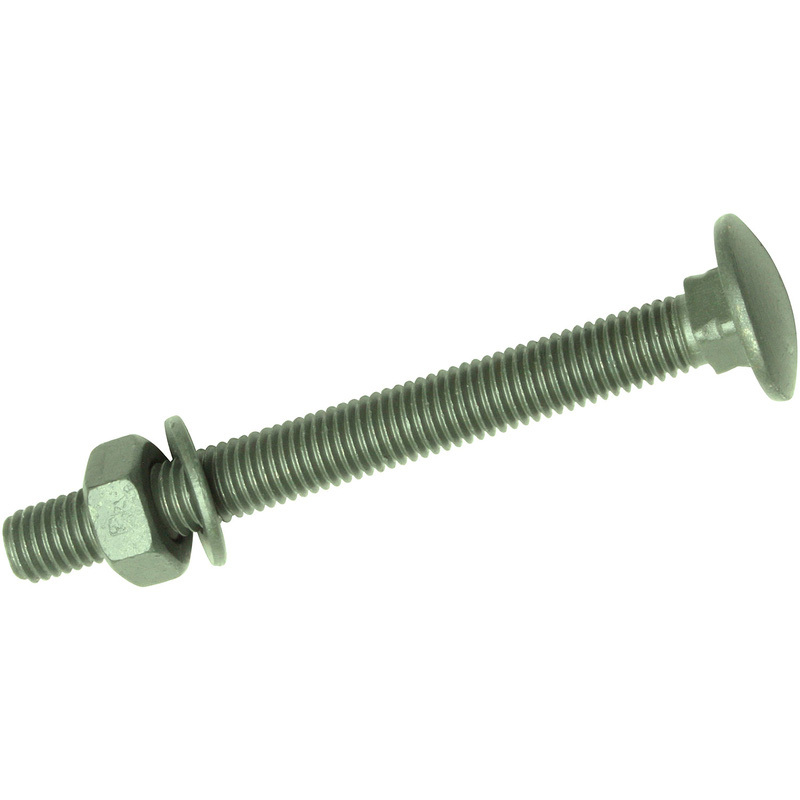 Exterior Coach Bolt, Nut & Washer M10 x 100 (10 Pack) is rated 4.7 out of 5 by 12. Rated 3 out of 5 by Frustrated of Ferndown from Product not exactly as illustrated or described It turns out the illustration, threaded to the top, applies ONLY to the shorter lengths. This is confirmed by the Timber-Fix Ltd website, but NOT repeated by Toolstation. Only the 100mm and 150mm are fully threaded. The others have a 150mm thread only. Hence 3 stars. Good product, but a real nuisance to have to cut extra threads on them. And they're tough! Rated 5 out of 5 by GeoffAP from Great value for money Bought this for fixing the hinges on new gates. Seems very robust and corrosion resistent. Good value for money. Rated 5 out of 5 by Mick 24 from Ivory good quality I bought them last week and I am impressed by the delivery and quality.